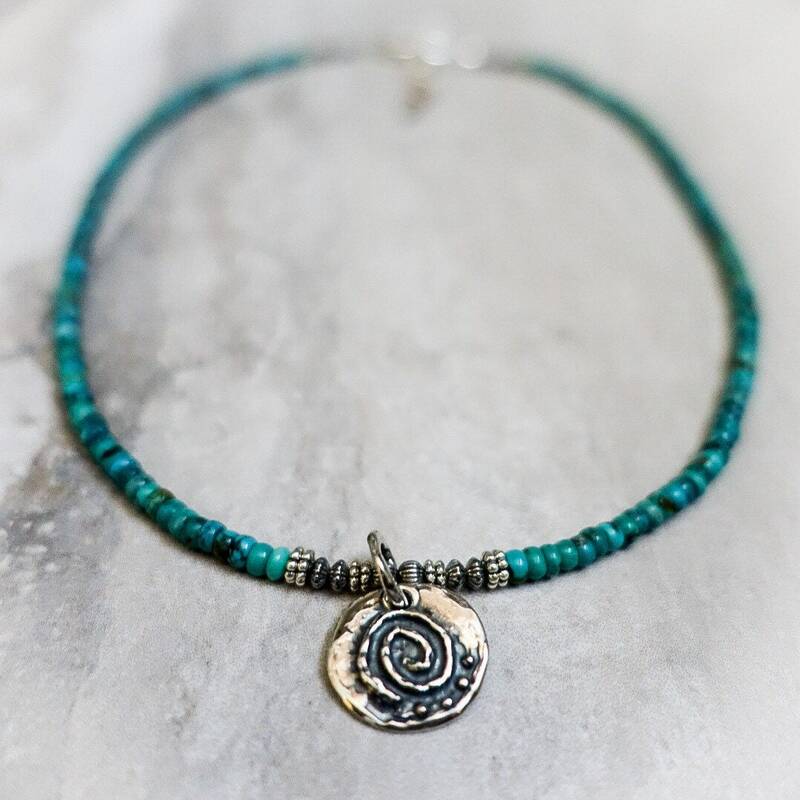 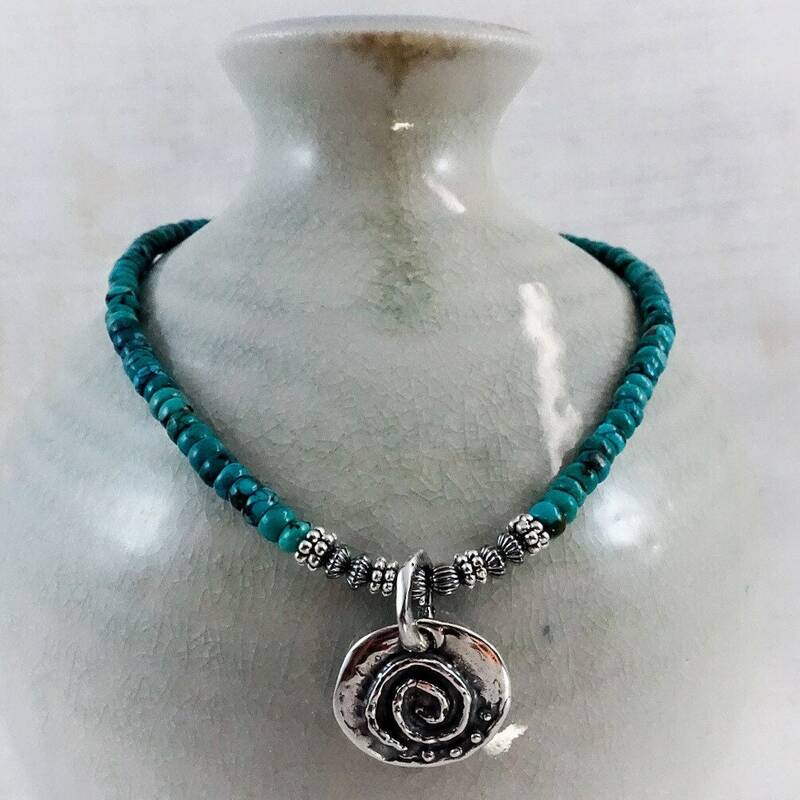 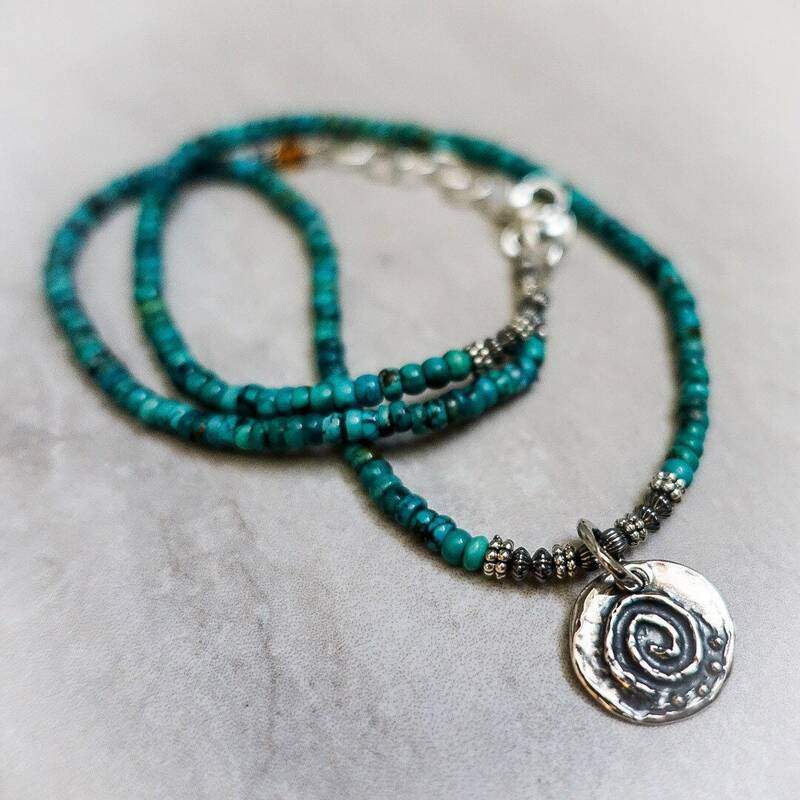 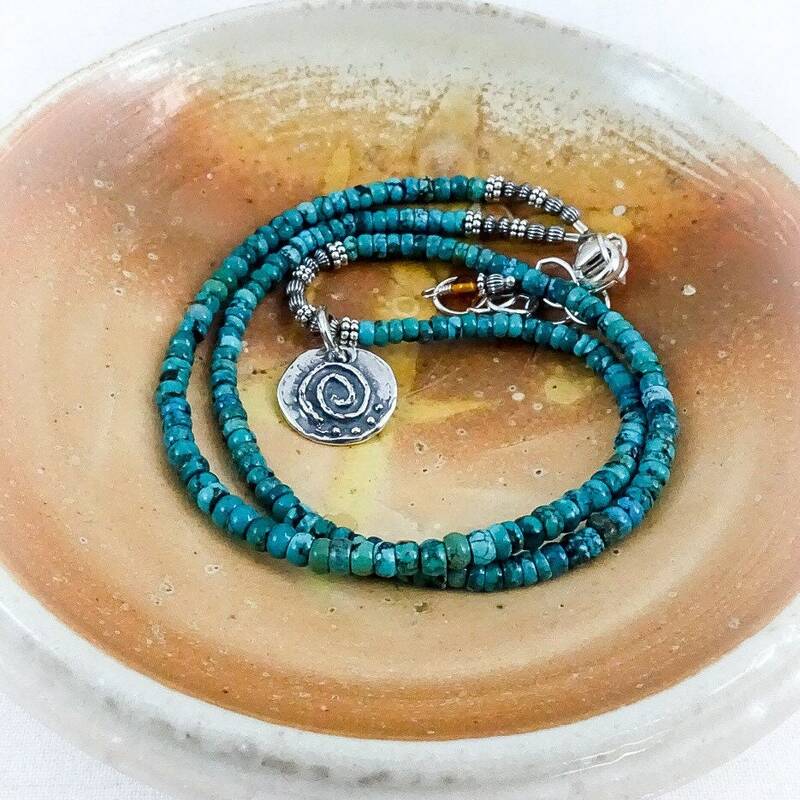 An 18 inch strand of turquoise rondelles are accented with oxidized sterling silver beads and suspend a sterling silver spiral pendant. 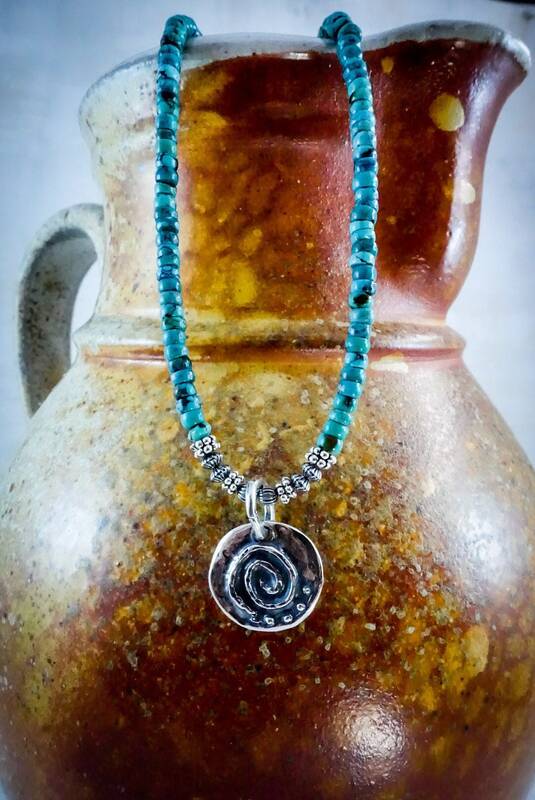 Pendant hangs approximately an inch from the necklace strand. 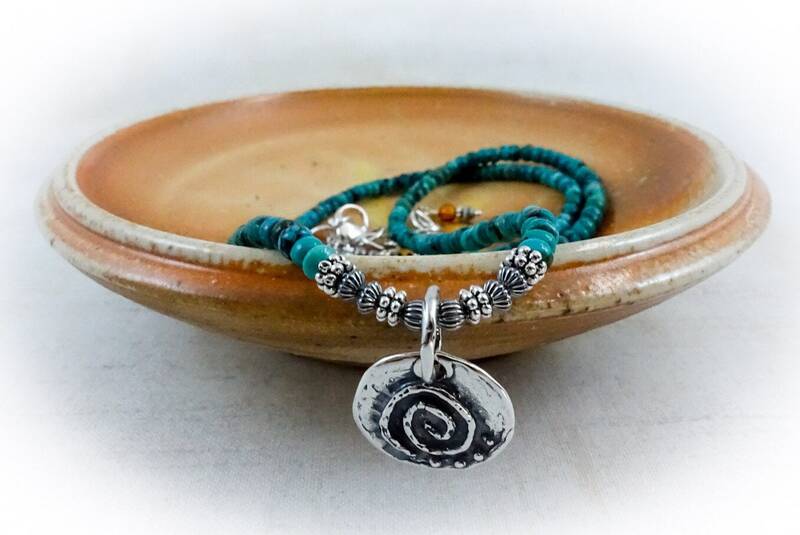 This piece is finished with a sterling lobster clasp with a two inch extension chain for adjustability and a tiny amber charm.